ComiXology quietly announced they are discontinuing their Windows app. Futurist Stowe Boyd apparently finds something note-worthy in Warren Ellis' notion of a "post-attention economy." 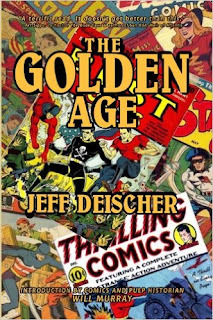 Jim Shelley interviews Westerntainment's Jeff Deischer about the use of public domain superheroes for modern stories. This last link will only work if you subscribe to Netflix. Chris Schweizer noted that in this 1994 episode of Reading Rainbow, Levar Burton visited the offices of Valiant Comics.